Just this past year, I met a fellow writer named Kergan Edwards-Stout. We met, of course, through the miracle of the internet, through mutual friends, and once I began chatting with Kergan I read his book Songs for The New Depression, and it is easily one of the top ten books I’ve enjoyed in the past decade. Written with a raw yet controlled hand, this novel moved me on many different levels. The story of a gay man dealing with a life threatening illness, Songs tells his story as he confronts the reality of a past that he tried desperately to make into something he wished it had been, but ultimately has to accept and be at peace with just as it is. The mirror image this book creates by contrasting a fictional character with the life we all in some akin manner experience, I couldn’t get over how powerful this story is and how much it moved me with its message. I immediately knew I had to interview Kergan. 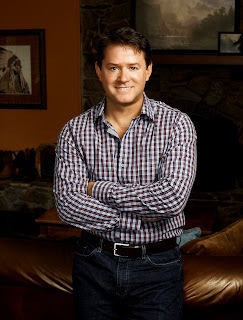 He graciously accepted the offer of a spotlight interview and the main things I wanted to uncover through the session - the inspiration for such a profound book and the secret to his innovative storytelling – he eagerly imparted. Kergan is a warm, sharing person and I’m very proud to present him here. CP: Welcome, Kergan, and thanks for visiting with me. KES: Thank you so much, Carey. I appreciate the opportunity. 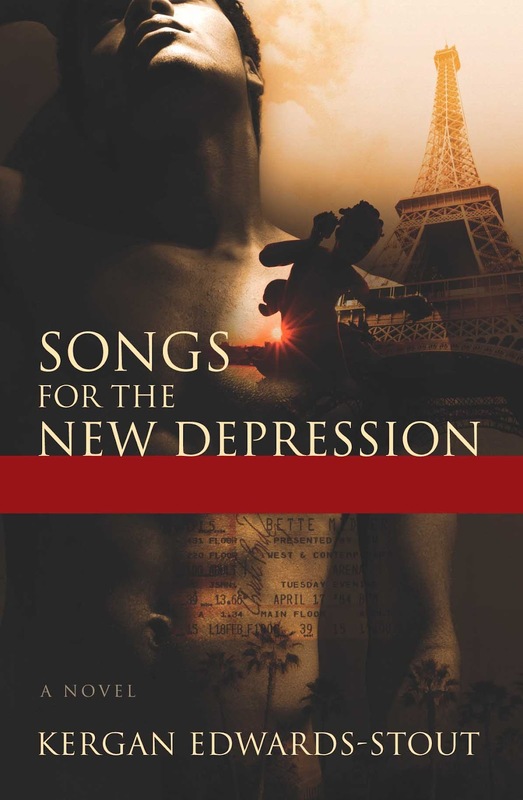 CP: You’ve been enjoying a big success with your novel Songs for The New Depression. How do you relate to that kind of attention? KES: Well, you are very kind. Having worked on this novel for twelve years, on and off, I’m extremely grateful for both the positive reviews it has received, as well as the notes I’ve gotten from readers. It is gratifying to know that something you’ve worked so hard on seems to resonate with others. CP: Give us a bit of background on how the book came about. KES: My first real “adult” love was my partner, Shane Sawick, who died in 1995. The act of being both partner and caregiver created monumental changes within me. As it was such a pivotal moment, I wanted to find a way to honor it. One day a line popped into my head. At the time, I didn’t know who was speaking it or where it would take me, but it became clear to me that the voice was Shane’s. Channeling his voice, I kept writing and eventually that turned into this novel. CP: Is it completely a work of fiction or are there some biographical elements involved? KES: There is some of both.The story itself is largely fictional, though real elements find their way in, but there is quite a bit of both my sensibility and Shane’s in the voice of the lead character. CP: A common theme among your readers is the intensity of the emotions you stirred in people. How do you reach that level in your writing? KES: I really just try to tell the story as truthfully as I can. The more real you are on the page, the more the reader will experience as a result. CP: Do you think this is why the book appeals to such a broad audience? KES: I hope so. While the lead character is a gay man, many women have commented on how much they relate to him and his struggle. He’s just trying to find his way in the world, and his hopes and dreams are much like those of others. KES: Well, we have kids, so the first order of business in getting into my mode is finding quiet. Which is hard and why it took so long to write the book! CP: Can you describe your writing process? KES: I tend to work best writing longhand on legal pads, as the words seem to come much more readily that way. If I try to write on my computer, I find myself editing more than actually writing. I don’t work off of an outline or such. I just know in my head where the story is going, and let it lead me. And, of course, while tedious, editing is essential to ensuring you’ve told the best story possible. CP: Which writers influence, or have influenced, you? CP: Are you working on another book now? And if so what can you share about it? KES: My next book is a memoir, Never Turn Your Back on the Tide. It tells of a specific event in my life which made me question everything I believed in, including my own sanity. But at the rate I’m going, it’ll be another 12 years before this one comes out! CP: Okay…A few nosy things for the fans: Married/Single/Divorced/Involved? KES: My partner Russ and I have been together for almost 10 years now. CP: Do you have any children? KES: We have two boys, Mason and Marcus, both of whom are adopted. They’re really terrific kids. CP: What are you reading right now? CP: (Blushing!) What kind of music do you enjoy? KES: My tastes are all over the place. Being gay, of course I love musical theater, so Sondheim is an idol. I love everything from Mary Chapin Carpenter to Brandi Carlile, Erasure, Bobby Short, Julie London, Shawn Colvin, atmospheric stuff--very eclectic! KES: Men Don’t Leave, with Jessica Lange, Chris O’Donnell, Joan Cusack and Kathy Bates. CP: Personal preference: Long sleeves or barefoot weather? KES: Long sleeves. I was born for four seasons, but live in California, where we have two: summer and rain. CP: What advice or wisdom can you share here? KES: Every writer has their own distinct voice. When I was younger, I never thought I’d be a writer. But with age came life experience, and now I find that I do have something unique and specific to say. It’s all about listening to what is in your core. And for those who are not writers, my advice is to try to live as honestly and authentically as you can. CP: And what are you most proud of? KES: My kids--Definitely. Hands down, the best thing I’ve ever done. What a great interview! Kudos to you both! Thank you, Carey, for the opportunity, and Jeff for the sweet note! Interesting interview, and terrific book... loved it!